Looking to plant a garden? Head over to Home Depot where they have the 16in. x 8in. 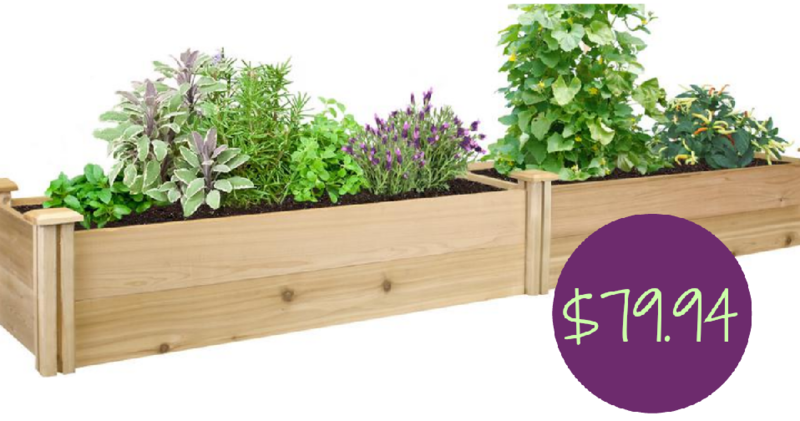 Cedar Raised Garden Bed with 11 inch walls for $79.94 shipped, regularly $133.24. This raised garden bed is easily assembled with no tools needed plus you can buy multiple sets and stack them for balcony gardens too. Cedar is resistant to rot and insects! Offer valid for a limited time. Choose free delivery.